The legality of arresting two journalists for allegedly stealing a confidential document is to be challenged in court after it emerged that no crime was reported to police. Lawyers for the documentary makers said a judge would be asked to assess the lawfulness of their detention as part of an already listed High Court case into other aspects of the police operation. 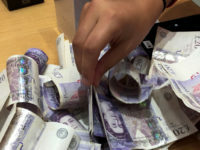 A police press release issued at the time said the investigation was triggered when the Ombudsman reported the theft to police. After Maguire’s position was reported in the Irish Times today, the men’s lawyers signalled that they intended to raise the issue in court. Judicial review proceedings questioning the police basis for pursuing warrants for their arrest and search operation have already been initiated in Belfast High Court. Solicitors Niall Murphy and John Finucane, representing Birney and McCaffrey respectively, said the issue of whether a criminal report of theft had been made by the Ombudsman would now form part of the case. “Confirmation that there is no criminal complaint of theft fundamentally undermines the entire integrity of the decision to pursue this flawed arrest strategy,” said Murphy. Birney and McCaffrey were questioned for 14 hours on how material held by the Ombudsman ended up in their documentary about the notorious Loughinisland massacre of 1994, then released to return for further interviews later this month. Ulster Volunteer Force gunmen opened fire inside the Heights Bar in Loughinisland, Co Down, in June 1994, murdering six football fans who had gathered to watch the Republic of Ireland play in the World Cup. 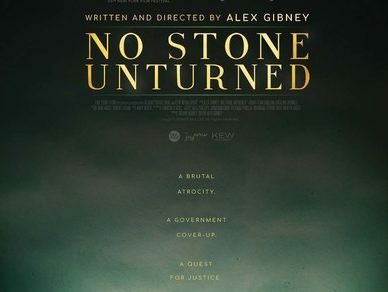 The 2017 documentary by Birney, 51, and McCaffrey, 48, entitled No Stone Unturned, broke new ground by publicly naming those it said were suspects. Durham Constabulary led the investigation into the journalists after the PSNI asked it to take on the sensitive probe. As the film explored persistent claims of security force collusion with the loyalist paramilitaries who committed the murders, PSNI chief constable George Hamilton called in an external force to probe the theft allegations, citing concerns over potential conflicts of interest. Maguire did meet police a day after seeing the documentary, but his office said that that was to flag potential risks to the safety of those individuals who had been named, not to report a theft. A statement from the Police Ombudsman’s Office said: “On October 4, 2017, the day after we had a viewing of the documentary, we briefed PSNI that it had identified a number of individuals, who may now be at risk, and that it had shown extracts from what appeared to be a Police Ombudsman document, albeit in different format to our document. The PSNI declined to comment on the issue because legal proceedings were ongoing. Murphy added: “I consider that these arrests are preposterous and speak more to a paranoia within senior police than to a genuine consideration that a criminal offence has occurred. Finucane said: “The police have serious questions to answer, and it adds to my client’s view that his arrest was designed to silence investigative journalism, not investigate a crime which now appears not to have even been reported. 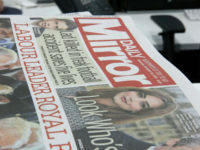 The National Union of Journalists called for the police investigation to be dropped. Seamus Dooley, the union’s Irish secretary, said the Ombudsman’s statement removed the central plank of the allegations against the journalists. “The threat of prosecution should be lifted, and a full explanation given to Barry and Trevor. “The context of this statement is important: two journalists were arrested, and the offices of a film production company raided on the basis of a warrant which the NUJ believes was granted in entirely unacceptable circumstances. “Two of our members were humiliated by very public arrests amid a blaze of publicity, even though they were at all times available for questioning. The PSNI could simply have sought an appointment at a local police station. “As the Irish Times report points out, material, including a child’s homework, was seized and the work tools of both journalists – laptops, computers and mobile phones – remain in the possession of the PSNI. “Severe travel limitations have been placed on Barry and Trevor: they have, for example, to give three days’ notice to the PSNI when visiting their union official in Dublin. “Until now there was a clear understanding that the arrests followed a formal complaint of theft by the ombudsman. If there was no complaint, why were these journalists arrested? Dooley added that the NUJ was also calling on An Tanaiste and Minister for Foreign Affairs to raise this case with the Northern Ireland Secretary as a matter of urgency.